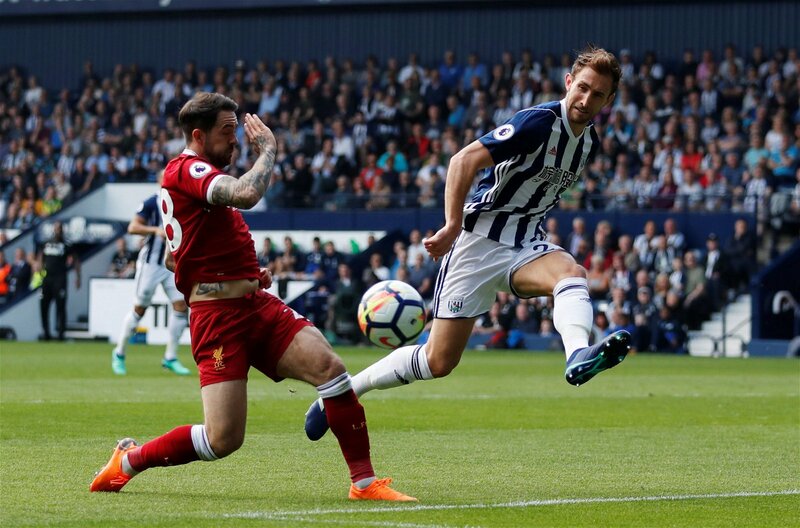 According to reports in the Daily Mail, Newcastle United are interested in signing West Bromwich Albion defender Craig Dawson after the Baggies’ relegation to the Championship was confirmed on Tuesday night. Well, the west Midlands outfit could have taken their incredible battle to survival to the final day had Swansea City and Southampton drawn at the Liberty Stadium on Tuesday night, but Manolo Gabbiadini’s second-half goal saw Darren Moore’s men go down on the day he picked up the Premier League Manager of the Month award for April. The Daily Mail says that Dawson will be a transfer target for a number of top flight clubs – including Celtic – this summer, with the Magpies already plotting a £15m move for the versatile 28-year-old. How has Dawson done this season? While it has clearly been a tough campaign for West Brom seeing as they have dropped into the Championship, the 28-year-old has been one of their most consistent performers. He has played 27 Premier League matches in total – including five appearances at centre-back in recent weeks where the club picked 11 points from a possible 15 and kept clean sheets against Manchester United and Tottenham Hotspur – and he has kept captain Jonny Evans out of the side since Moore took over. The versatile defender has shown his strength in the air and his ability to put his body on the line for his team, and it no surprise that a number of Premier League clubs could be taking a look at him this summer. Would he be a good signing for Newcastle? He certainly would be, and one that the St James’ Park faithful, who have reacted on Twitter to the club’s reported interest in Stoke City midfielder Joe Allen, would soon take on as a fans’ favourite. While the likes of Ciaran Clark and Florian Lejeune, who would feel particularly hard done by if the 28-year-old signs, have done well alongside captain Jamaal Lascelles this season, Dawson may well prove to be an upgrade and the perfect partner for the skipper because of the defensive qualities he would bring to the backline. The fact that he is also a big danger in the opposition box – he has 12 goals in 179 appearances for the Baggies – would be a huge boost, and to get a player that is equally as comfortable playing as a centre-back or a right-back for £15m is an opportunity that Newcastle can’t afford to miss out on.